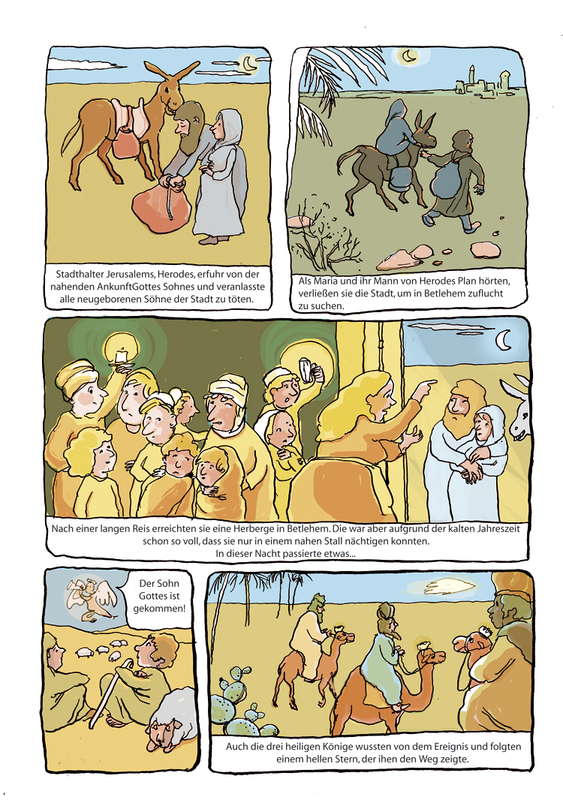 or "Weihnachtsgeschichte" in german, that I did for a comic competition. I am waiting for the results! It is the first time I am coloring a whole story digitally, and to be true, I spent much more time than I thought, but next time I think I will profite the time and resource better.